If you have been around horses long enough, you know to always expect the unexpected. 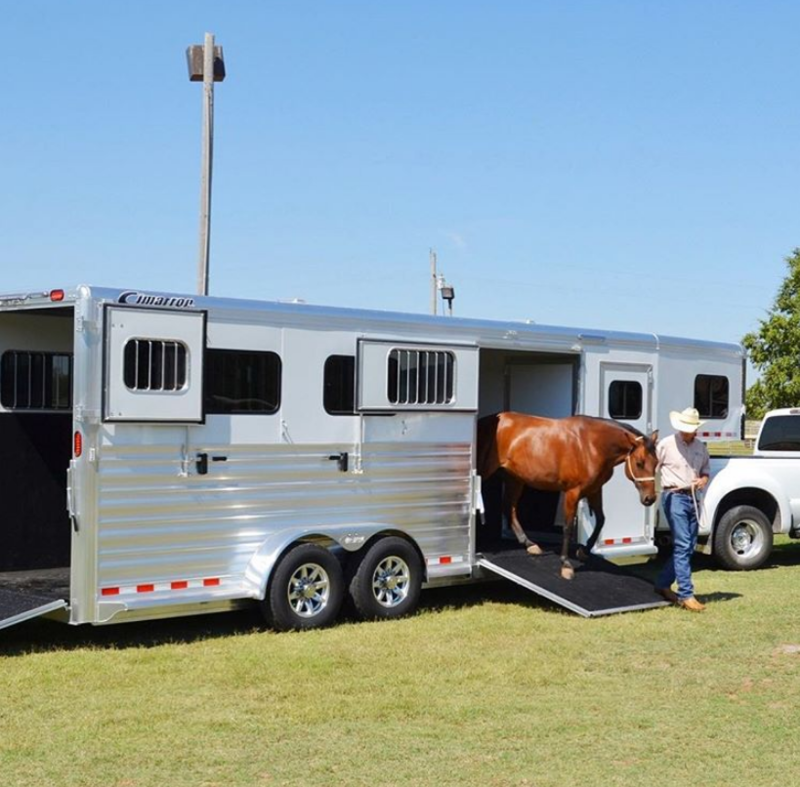 Keep that in mind when packing for a competition or event, because there is nothing worse than a flat trailer tire on the side of the road with your horses! Ruth Hogan-Paulsen, international dressage rider, can testify to that, as she found herself pulling off the highway on her way to Florida. When you are packing your trailer, always check your toolbox in the trailer. You never know if someone needed the WD-40 and forgot to put it back! Here are the necessary tools to change a tire that should always be kept in your horse trailer! We hope you are never in that situation, but better safe than sorry! The most important thing is remembering to breathe! This will allow you to think clearly and rationally. If you have people traveling with you, work as a team and you will be able to change the tire faster and headache free. This will alert everyone that you are slowing down, and they can give you plenty of room to move over into the right lane. Start looking immediately for an exit. Try to avoid changing the tire on the side of the highway, cars could be passing you at 70mph and we want to keep everyone safe! Remember to apply the parking brake to prevent rolling, and turn off the truck. Make sure you keep the keys with you and do not leave them in your truck! This is especially important if you have an animal as your copilot, so they do not lock you out of the vehicle. Keep the trailer hooked up to the truck to help stabilize the trailer. Then, put a chock behind the trailer wheels. If you do not have wheel chocks with you, look around for any rocks or logs. Sometimes you have to think outside the box, and staying calm will help your thinking process. Once everything is stabilized, check on your horses to make sure they are calm. Simply check through the window, and avoid going into the trailer. This may excite the horses and cause unnecessary movement of the trailer. You are finally ready to change the tire! Check out our blog next week to learn how to change a horse trailer tire! 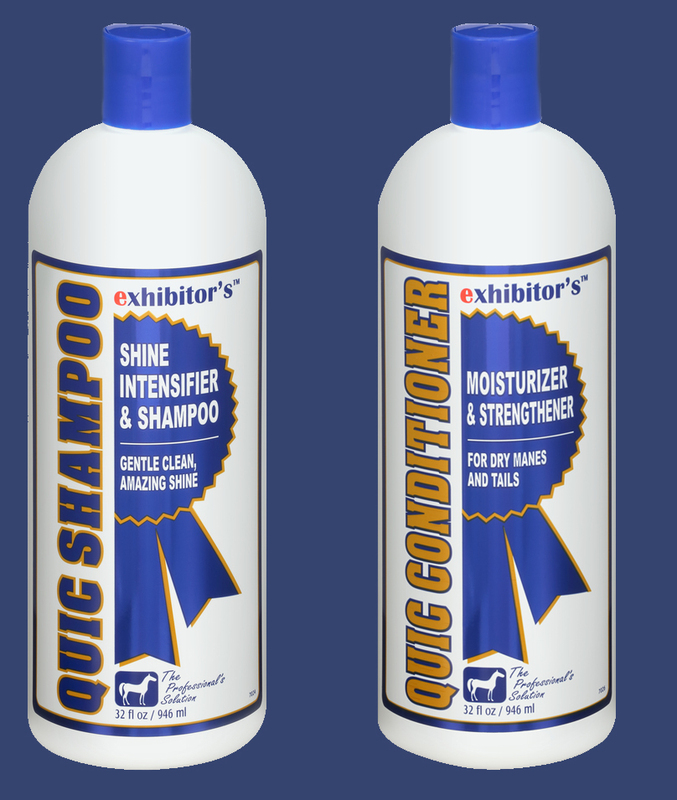 Keep your horses show ready with our Exhibitor’s Quic Shampoo and Exhibitor’s Quic Conditioner! This shine intensifying and moisturizing combination will make your horse stand out in the ring!